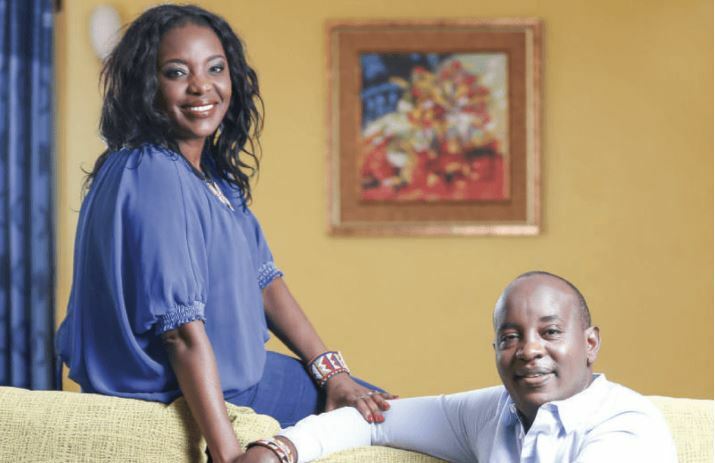 While most people in relationships wouldn’t be caught dead sharing their ATM details with their significant others, Citizen TV’s Linus Kaikai is quite the exception. Apparently, the Royal Media Director of Strategy and Innovation gave his wife Jacinta Mueni his ATM details after only three weeks of dating. According to Kaikai, the remarkable moment of trust happened when he was about to travel out of the country. “While planning one of our dates, we ended up asking where each one lived only to realise we lived within the same complex, just different blocks. In fact, Mueni could even see my block from her apartment and I had to pass by her house to get to mine,” recalled Kaikai. “When we both wanted to move out of our houses, I was sent on an assignment out of the country. So I handed her my ATM card and told her to secure a place of her choice for me and left,” Kaikai told Parents magazine. The move would set the pace and foundation for the lovebirds as less than a year later, Mueni had introduced Linus to her family. In 2007, the couple, though not married, welcomed their first child together. Despite having met in 2005, they didn’t formally tie the knot until 2012 at a celebrity-packed wedding at the Nkoroi Catholic Church in Kajiado County. “From our very first date, I told Linus that I was not looking for marriage. Strangely enough, I always had this notion that I needed to live my best life at any given time, including when I was single. By the time I was meeting Linus, I had a full-time job, my own booming side business – Style Sense – an active social life and the plan was to get my Masters and Phd as well. I just didn’t know where marriage would fit into the equation,” explained Mueni. “It did take time for us to warm up to the idea of marriage but even in between those years, we were actively in each other’s lives, spoke daily and there was absolutely no pressure from either one of us to change things,” Mueni explained. Linus too did not have marriage at the back of his mind when they met.